To say that Jesus bore the wrath of God for the sin of all those he came to save has some interesting implications. For example, in a short amount of time, Jesus had to experience the wrath of God equivalent to the punishment of millions of people for eternity. Since Jesus could endure an infinite duration of punishment for millions of people in a few hours of suffering by one person, perhaps he has an infinitely higher threshold of pain than other people. Maybe that short period of suffering was possible because it was infinitely more agonizing for him, as the Son of God, to be separated from God the Father by his wrath, than for an ordinary person. So why a few hours of suffering? Why not half an hour? Or an instant? Is there an upper bound on intensity of suffering sustainable by a God-man? Did he choose the time of his death when he declared “It is finished”? If all of his suffering from God’s wrath took place on the cross (as opposed to after his death and before his resurrection), then the duration of the suffering was partly determined by the mode of execution, although he did die sooner than the Romans expected him to. Before I give in to the temptation to write an equation, I’d better go do something that’s either technical or theological. Mixing the two causes great confusion…. I guess everyone must have called it “The Mack” as a shorthand, and finally they just made that the theater’s name, probably in the 2004 renovation. Alas. In 1993, I unexpectedly did some good when I was hired to do something I wasn’t good at. I was going to college part-time and working to pay my way. For almost five years, I had been writing and maintaining various utilities that were part of the GNU operating system (now used mainly with Linux). For a couple of those summers I’d actually been employed as a programmer by the Free Software Foundation, the nonprofit organization that coordinates the GNU Project. Cygnus was looking for someone to maintain the GNU linker/loader ld, part of the binutils compiler toolchain that their employees had written. The guy who wrote GNU ld, Steve Chamberlain, is a brilliant programmer several years older than I am. He had written it for a contract with an insane deadline, and then had to move immediately to another project with another insane deadline in order to keep bringing in enough income to keep the company afloat. In the meantime, he hadn’t had time to do much documenting of his code. And he didn’t have time to explain it to me, either. Although I was working on a CS degree, I hadn’t taken a compilers class yet. When I started looking at the source code to ld, I was horrified to discover that it was all a hand-written parser for a complex linker language derived from System V Unix (but extended so it was even more complicated). I’d chase function calls and pointers from here to there but could never figure out what the control flow was. It was way more complicated than I’d expected. I never did understand most of the code. I got so frustrated that weekly I’d rush into my boss’s office in tears saying I couldn’t do it. She’d reassure me and I’d go stare at the code some more. I did learn enough about the code to fix some isolated bugs, but the hard ones I’d always find ways to pass off onto more experienced coders on the team, even though they weren’t supposedly working on the linker. While I was struggling to understand the code, I learned a significant amount about the BFD library that the Cygnus binutils are based on, and there I started to make a difference. Some things I am good at are making things more consistent and making things more user-friendly. Cleanup work. I’d done that a lot on other GNU utilities for the FSF. I started improving the BFD library; I added some missing functionality, documented it better, and wrote a new utility to make it easier to analyze files built with it. While doing that, I also took a close look at the configuration scripts that the binutils used. They were designed to support many computer architectures, but a lot of the configuration had to be done by hand. For the FSF utilities, I had written a system called Autoconf to generate automatic configuration scripts, but those couldn’t handle CPU architecture selection. I decided to merge the two systems into a best-of system (Autoconf 2), and I spent much of the summer of ’93 doing that and converting all of Cygnus’s utilities to use it. It got an enthusiastic reception and I believe it’s still in use 15 years later. While improving and documenting Autoconf, I examined the Texinfo documentation system that GNU and Cygnus used. There were some scripts for printing out manuals in various formats, which involved some tricks with indexing and Postscript. I made some improvements to the documentation tools that summer, but I’ve forgotten exactly what they were. 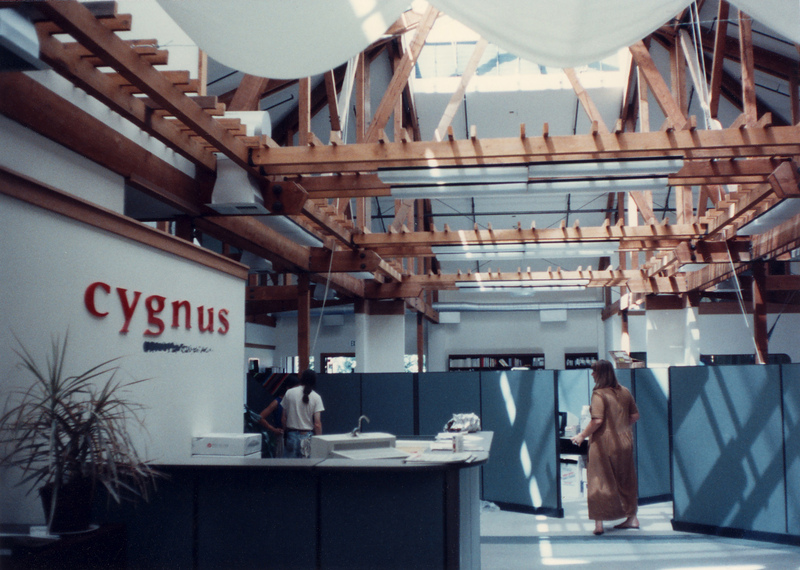 After a few more months, I left the job at Cygnus to work as a programmer and system administrator for the University of Maryland. Cygnus deserved someone more suitable to work on the linker. But though I was just treading water as a linker maintainer, Cygnus got some valuable improvements to their software surrounding the linker that no one else probably would have done. And I enjoyed doing that. It seems like this happens at most of the jobs I’ve had. I end up redefining the job description to be things I’m good at, and everyone’s pretty happy with how it turns out.